I don’t know about you, but winter-time just makes me want a stew. Being the food snob that I am though, I can’t just have any old stew. 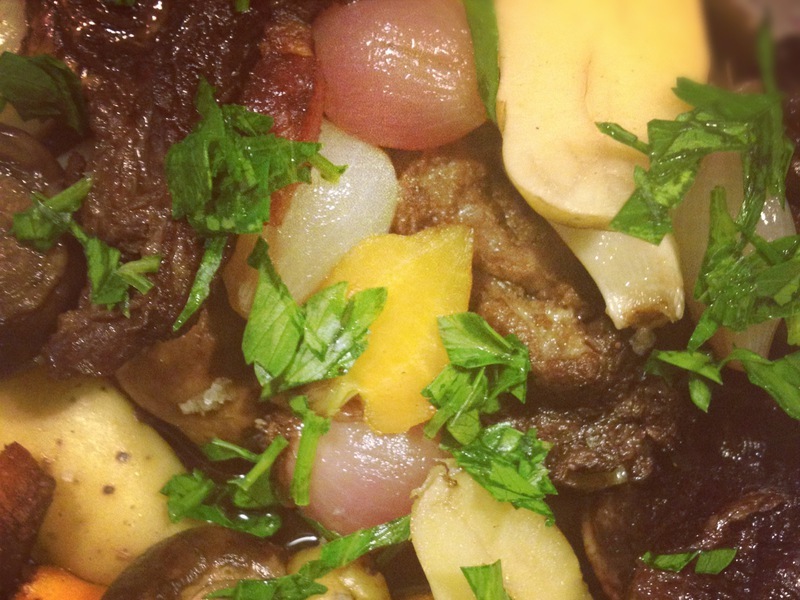 A couple of years ago now I attempted to make Thomas Keller’s version of the humble French beef stew, Beef Bourguignon, from the Bouchon Cookbook. This is not a humble or even simple recipe. In typical Keller style, each ingredient requires precision in the hunt for perfection. It takes 3 days to make (at a minimum). You have to let the beef sit in its braising liquid over-night. Every vegetable is cooked separately and only combined at the end. The resulting dish is probably the closest you can come from a theoretically perfect beef-stew. Is it worth the effort? I can’t really say. There are a lot of people who have tried this recipe and have been varying degrees of overwhelmed. In the end, whether or not the stew is actually the best you’ve ever had, you come away with an appreciation of the exacting skill required as you try to attain greatness in food. You might never make it again, but you will learn something.